Bonjour lecteurs! Today is our next giveaway and it is perfect for it. C’est officiel! All kids are now for sure back to school and the risks that go with it too! Worried that your little one misplace their possessions? 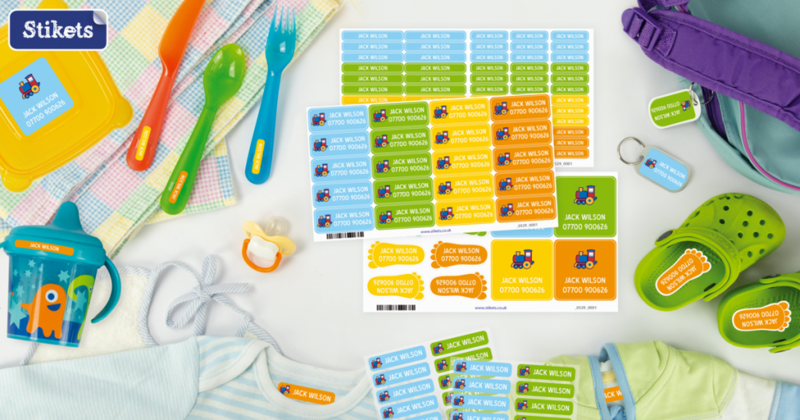 Well, you will love this one… Win 1 Basic Value Pack of Stikets Labels worth £19.95. Super colourful, those will come in handy, pas de doute! Children losing their things is a nightmare for many mamans! Stephanie Marko knew too well le problème and that is why she created Stikets! She wanted to make our life easier. 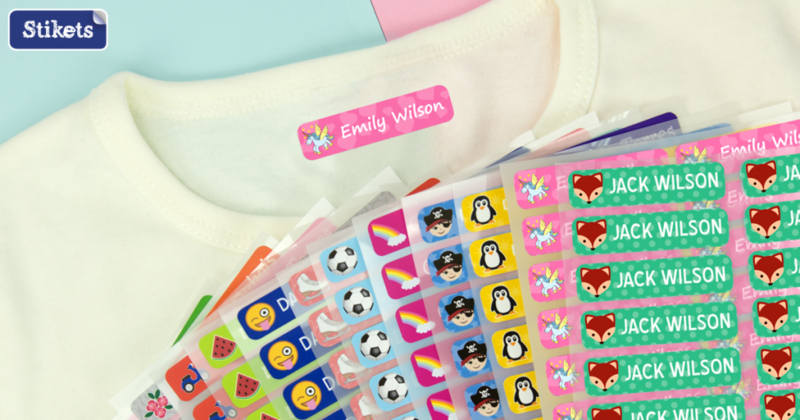 Indeed, those cute labels can be used on clothes, books, shoes, school supplies, backpacks and any other object you fancy! En plus, the iron-on labels are washer and drier resistant and the stickers for objects are dishwasher and microwave safe aussi! 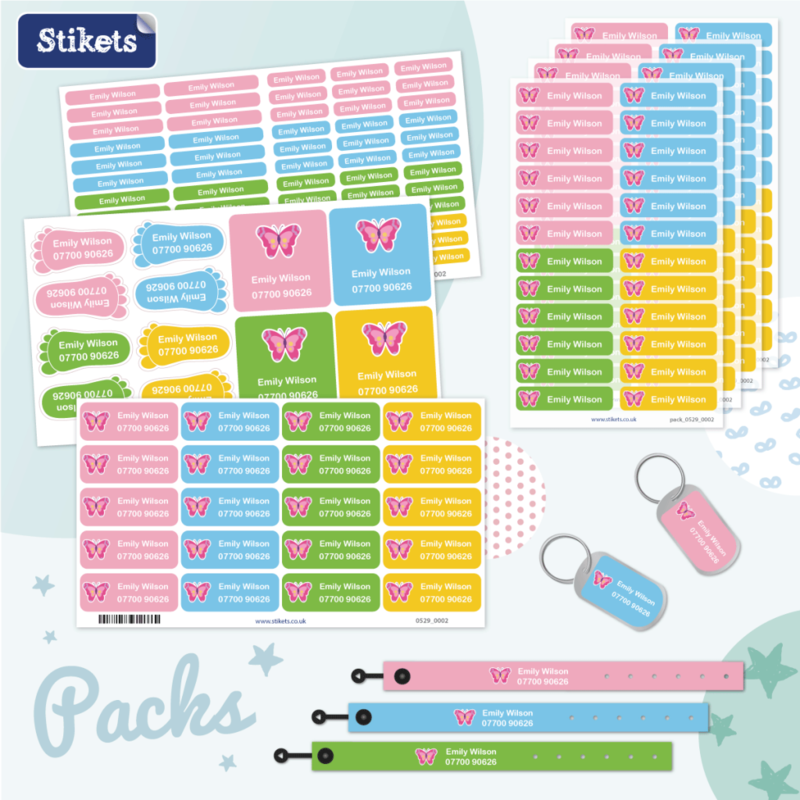 Today, you are in to win a Basic Value Pack of Stikets Labels but the brand also offers identification bracelets as well as children’s wall decals. Stikets has many options so that you can select whatever works best for you! You can even add up an icon to make it funky! It is a pretty full lot with all the essentials you may need for your little ones. When you log in, it is so easy to select your style. And so many choices! 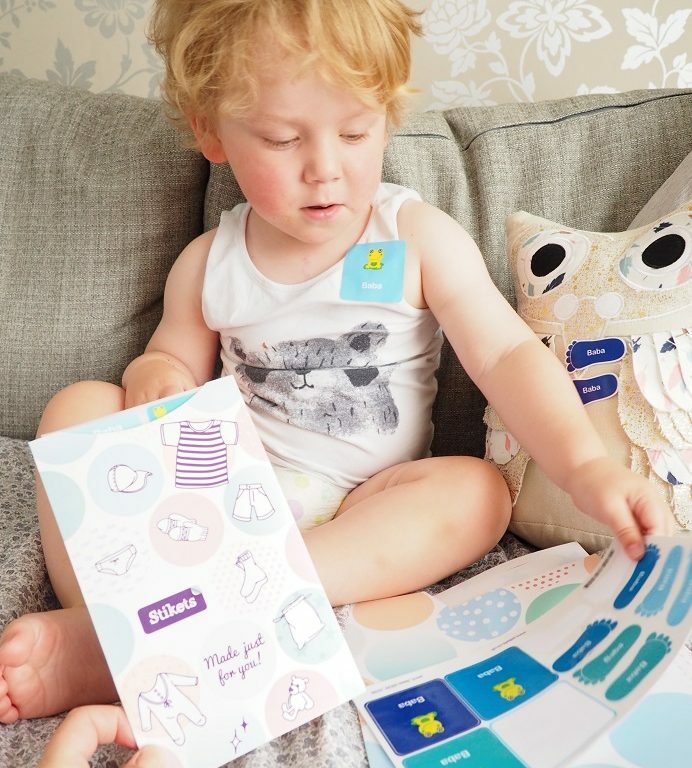 Is your little one a fan of blue? Here we go! 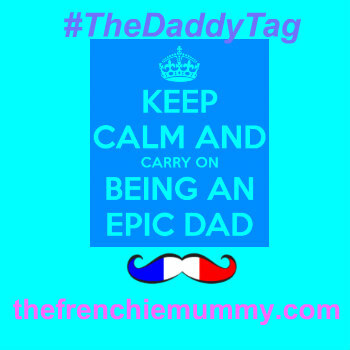 Plus, it is up to you what you put on them: your child’s name but also your phone number si vous préférez. Choose the typography, the colour. Add an icon if you wish and it will be in the post for you to use ASAP! We got a pack of Stikets Labels earlier this year and we absolutely loved it. I was very happy to see how resistant they were! Top qualité for those! As a “mumpreneur”, Stephanie Marko knew what we needed! 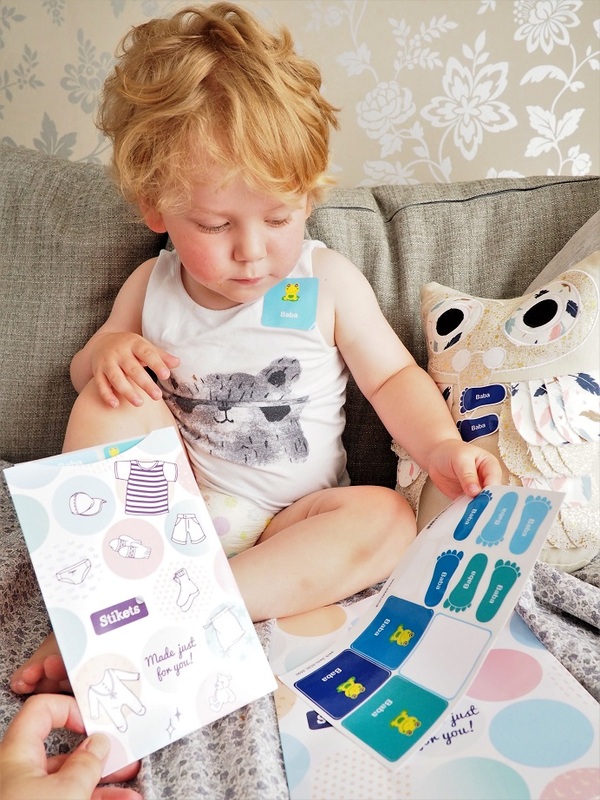 Those labels are not only pretty (and fab to play with teddies as you can see). They are so practical and the brand offers great customer service! As soon as I ordered mine, Stikets’ team made sure we had the best experience possible. 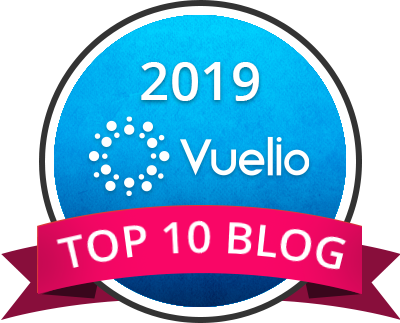 They created tailored labels for the blog and more private ones for me to use in real life! Those ones were just made for me to share with you. I was very impressed! Plus the delivery is free! If you are looking for name labels that will keep you going for longer, those are yours! I absolutely love the one we received! And Baba too because he looks so cool with those and he knows it! Plus the pack we got covers all our needs! We don’t have to buy more! Ready to get your pack? 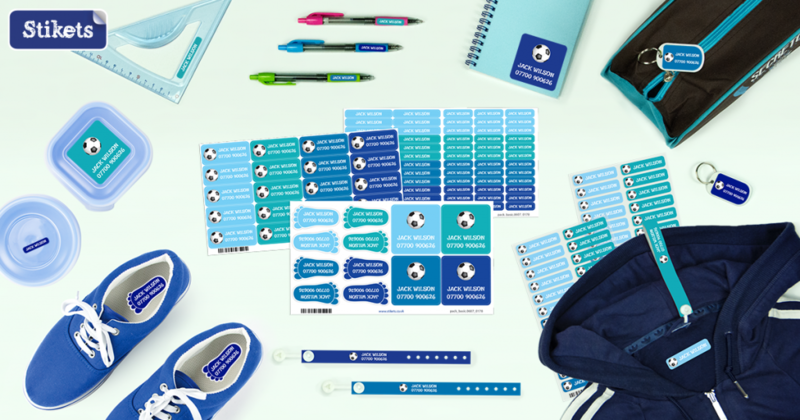 Let’s get creative in this Big Back to School Giveaways Event! Get started mamas! Choose your style and your icon now! Enter now this Back to School Giveaway via Gleam. This giveaway starts on Wednesday the 5th of September and ends at midnight on the 5th of October. 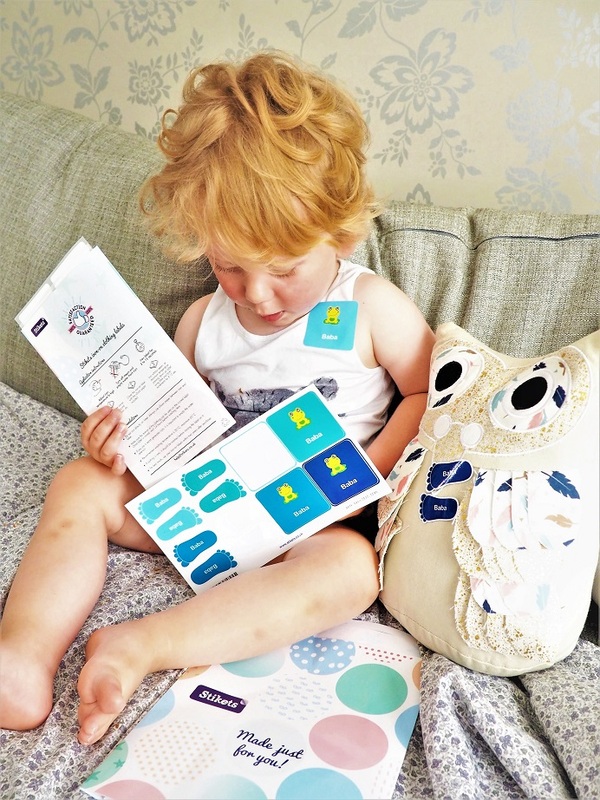 Merci for reading our post Win 1 Basic Value Pack of Stikets Labels. No doubt you will love those! See you tomorrow to win more! Tomorrow, you will be in to win some fab toys! Disclosure: This is a sponsored post written in collaboration with Stikets. These stickers look fantastic. Our eldest would choose purple and unicorns, and her little sister would choose pink and puppies. Awesome sticker sets! My little one would love the butterfly ones! I would get the pink loveheart background and a donut icon! Anything blue with cars or buses on them! I would go for the lilac and pink one. I like the labels for footwear. Left and Right Shoe Labels :- Are a great idea. Really like the ladybird design. I love the blue star background with a male face image. I like the fox on a light blue background. Another wonderful giveaway! You are so kind! I’d have to get something girly and pink! My granddaughters would love the penguin icon! My grandson would like the tractor. my youngest two would love the watermelon ones with green background. I love the pirate ones – so cute! And the green background is fab. Something girly for my daughter! Blue star background with foxes. Blue stars and a fox. Dark blue with a space rocket. Defiantly purple and unicorn ones for my 7 year old ???? Definitely purple with unicorns for my 7 year old daughter ??? The blue football one for my nephew. Green with butterflies for my daughter! I’d let my daughter choose, so I’d almost guarantee it would be pink. I would choose the emoji design for my 8 year old son! We like the football, scooter or fox designs! ? I would choose a design with a unicorn and pink background! I just asked my daughter to pick her favorites and she went for the lightening image and she choose one of the combination colour packs. Ours love anything animal-related so, the fox, frog or penguins would be much appreciated.